Valet parking is available Tuesday-Saturday for $21.00 per car if paying cash, $25 if using credit card. On-street metered parking is also available, as well as nearby parking garages, the closest being located at 100 Clarendon St. Please call Kerry Lynch at 617.262.3908 or email kerry@bneg.com to learn more about booking your own private event. 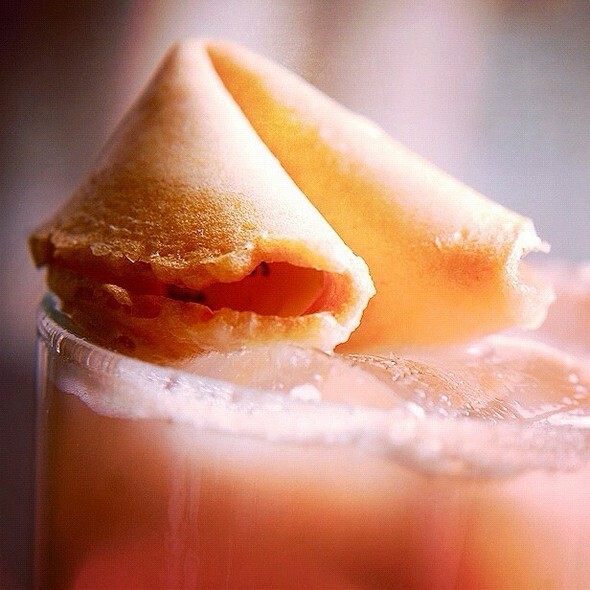 A sophisticated, sensual Asian Restaurant and Lounge, Red Lantern features award-winning cuisine. A diverse Asian menu includes appetizers like Wood Fired Skewers, Spicy Lettuce Wraps, Peking Raviolis and Lobster Rangoons. 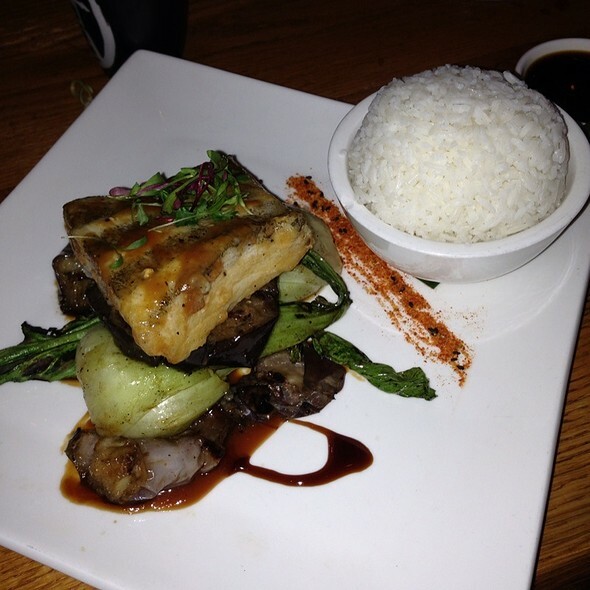 An extensive dinner menu includes Wood Grilled Steaks, Seafood and Chicken Specialties, Wok and Noodle Dishes. 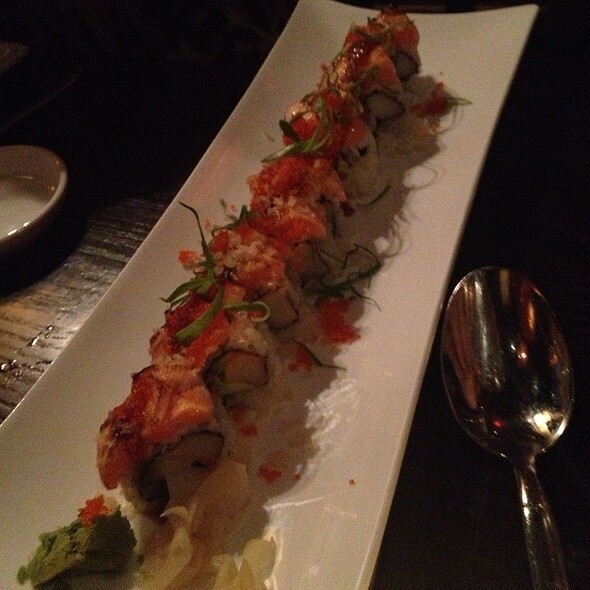 Specialty Sushi Rolls and Traditional Sushi is prepared fresh to order. With a capacity of 300, Red Lantern features an open kitchen, sushi counter, wok station, oversized tables, a community table and private dining room for up to 40 guests. Stunning decor and exceptional cuisine come together to bring you on a culinary journey like no other. It's overpriced Chinese food. there are nice places around where you can spend less and eat food of the same quality. Wonderful ambiance and great food!! Our group of 5 was seated right away. The waiter showed up promptly to fill our water glasses. However, after that, he kept us waiting to take orders and deliver beverages. Food was very good, but not really outstanding. The distance from the kitchen resulted in less-than piping hot items. The ambiance was fun but the service was so slow. Waited for ever for someone to talk our order then again waited forever for drinks to arrive. 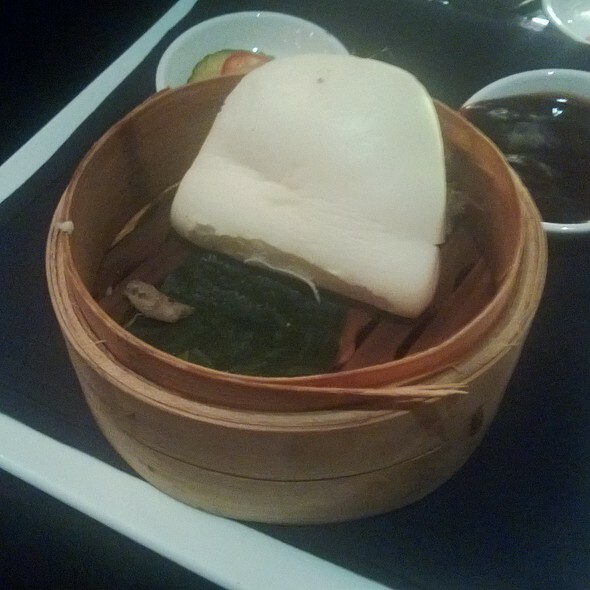 I went to red lantern before attending a graduate ball for school and had an excellent dining experience. They sat us 30 minutes before the reservation at our request and we had excellent service. Food came out quick and was delicious, along with drinks. This was not my first time at Red Lantern and I will continue to recommend it. Thank you for a great dining experience ! Amazing service! Great atmosphere! We will most likely be back. The staff and service was wonderful. The food and drinks were unpalatable and repulsive. The drinks were not being made properly and the food was bland and stomach turning. I should have known when the menus were sticky & gross that this wasn’t going to be my finest meal...sushi tasted really funky, and the rest of our meal was subpar. No offense Red Lantern, but skip this one, you can find better in Boston. Enjoyed it so much, we were seated in the back dining room no view of the dance floor, I would prefer that next time. Awesome food, great ambiance, and a very cool place to invite people from out of town to show off just how cool the unique architecture is in the city. Rolls were absolutely delicious and very fresh. We had rock shrimp, crab, sashimi, miso and hot and sour soup. Presentation was lovely. Overall very good experience... we would return. We asked our waiter for drink recommendations and she recommended the fish bowl drink which once we got, we thought was wayyyy too sweet. We couldn't even take one sip. We didn't want to outwardly be THOSE customers who complain so we mentioned it many times that the drink was too sweet and that we can't drink it. It was $55. The waiter always changed the topic and seemed like she didn't want to have to deal with our unhappiness. Other than that, food was delicious but not necessarily worth the price. And the place itself is very aesthetic. Way too much sauce on everything. Sushi covered in goo. This was our third visit and we do not plan to return. The food was exceptionally badly prepared and did not rise to the expectations that one might have for the pricing charged. Too bad. Such lost opportunity to capitalize on a great concept coupled with a unique setting. I wonder if Management periodically reassesses its recipes and how they are executed. I suppose patrons will go back to P F Chang where taste may not be exception but at least consistent. Always a great time! Our favorite place to spend time with friends. Amazing food! A group of 8 went. Ordered the sushi boat, drinks and some entrees. we found a hair in one of the entrees. Would recommend to friends, only if they're crazy rich. Good atmosphere and decent food. The service could have been better but it was packed when we arrived. The Vegetarian options could be made tasty and add more to the normal menu options, I did like their food presentation but not the taste (was too bland). One of my favorite restaurants! Staff is really friendly and attentive. Amazing food and excellent experience as always! Samir was the most amazing waiter, probably the best service I’ve ever had anywhere. He was attentive to our party of 10. He made sure the people with allergies were taken care of. Always made sure we had everything we need and more. The food was great as were the drinks! Everything was great, the food and the drinks. However, we were not notified ahead of time that the kitchen closes at 10:30. We called ahead and asked the earliest available reservation and they told us 10:30pm. The second we walked in the door, we were rushed and the staff was annoyed we were there. They told us to hurry up and order and that the kitchen would be closing. It makes no sense to take reservations for that late if the kitchen is closing at that time. I was dissappointed as it was my birthday and we were completely rushed at dinner. Great food and awesome service. Definitely go back again. Oh how i wish i remember my servers name, she was so aweaome. You can tell she knew the menue by heart. Me and my partner were sitting at the two top with the both and chair seating. 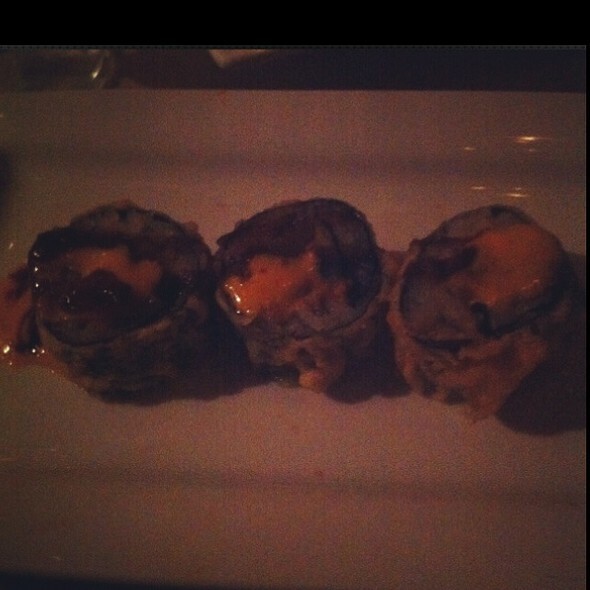 The Rosie Roll was killer, and the pecking ravioli was to die for. Cant wait to go back! Love the restaurant, food better than some other Asian-themed restaurants I’ve been to in Boston. Going back next week with a dozen friends! Our service was amazing. I wish I got his name but, he was so attentive and answered menu questions flawlessly. The ambiance is the real reason we were initially attracted to the Red Lantern. After enjoying a Ginger Margarita I was sold! 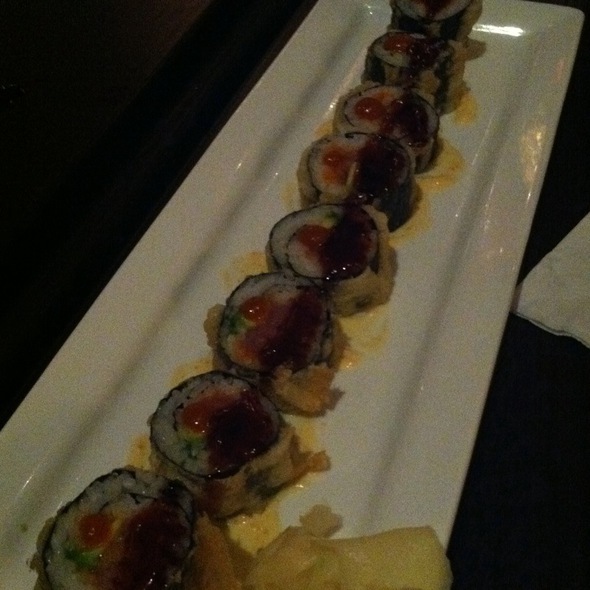 The dinner portions are insane so beware of too many rolls of sushi before entrees. Asian food is alway great the second day so I was excited to have a surplus to take home. I enjoyed a nice date night that Thursday and I’d gladly go back for more drinks and appetizers with girlfriends next time at the bar! Went with a group of 7 - all dishes were interesting and delicious. 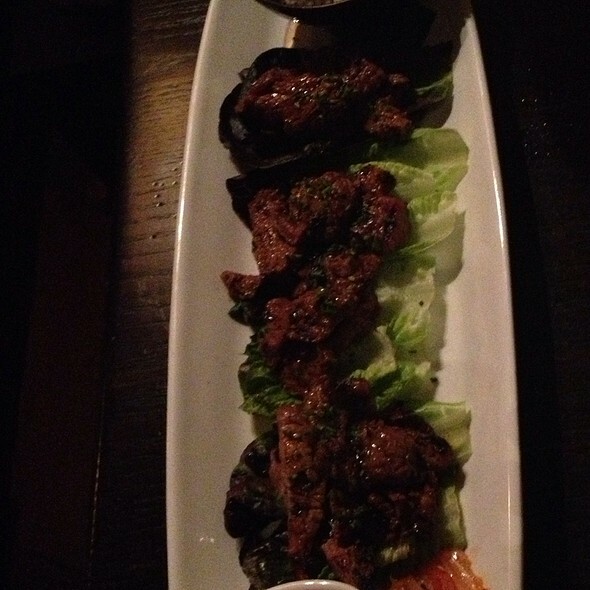 Food is excellent as usual! I would recommend this beautiful location to anyone who loves good food and a nice decor. 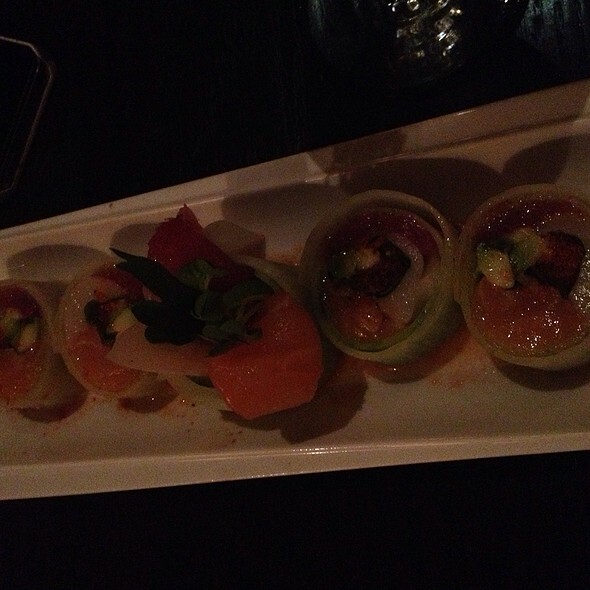 It's hard to pick all the sushi rolls. The menu does not list the ingredients of all sushi rolls, instead it says tuna, whitefish, ect.... there are specialty roll that a great but heavy, so you can only have a few. The food is fresh and comes out quick. Just the menu needs to elaborate more on the sushi dishes. More descriptions of the kinds, because looking at it, seems as there are not that many for a Asian restaurant. Great food with welcoming and knowledgeable staff. I got the dumplings for an app and the volcano bowl for a drink. The overall presentation was great! A little disappointed they removed a few things from the menu, but overall it was good. Samir is AMAZING! 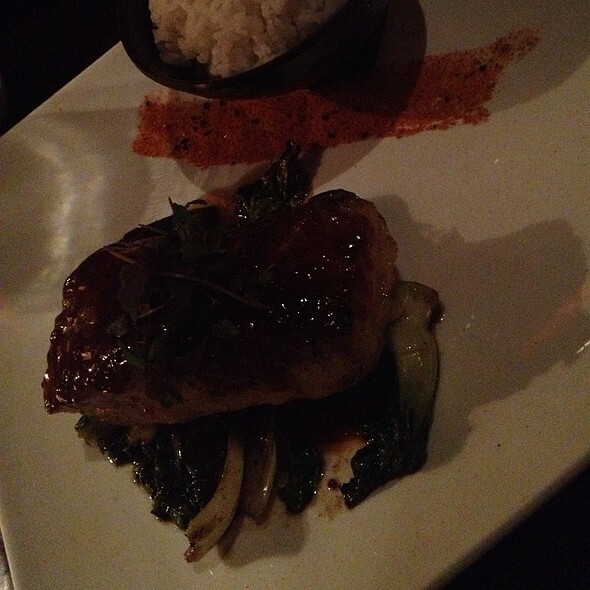 First time at Red Lantern and experience was great! The atmosphere and ambiance were unique. It was a beautiful restaurant and very much worth the trip! The food was also well prepared and tasty. We waited 45 minutes for our reservation and were told often it was going to be five more minutes or completely ignored. Staff became annoyed and rude when we expressed our frustration. The drinks and food are overpriced for what you get. Will not be going back. Great food, really good service and a fun evening.